Let’s face it, laundry has been, and will forever be, part of our weekly chores. And there are several products that are essential to getting this task done as effectively and efficiently as possible, some of which include detergent, bleach, fabric softener and, most importantly, dryer sheets. Yes, dryer sheets are essential if you want static-free, soft to the touch clothes. Benzyl acetate has been linked to pancreatic cancer. Limonene is a known carcinogen. Chloroform is a known carcinogen and a neurotoxin. Ethanol has been proven to cause central nervous system disorders. Benzyl alcohol has been linked to upper respiratory tract infection/irritation. So what should you do, knowing that the mere act of drying your clothes may expose you to dangerous chemicals? Well, you can forego dryer sheets altogether; however, this may lead dry clothes riddle with static electricity, which may not be a viable option. 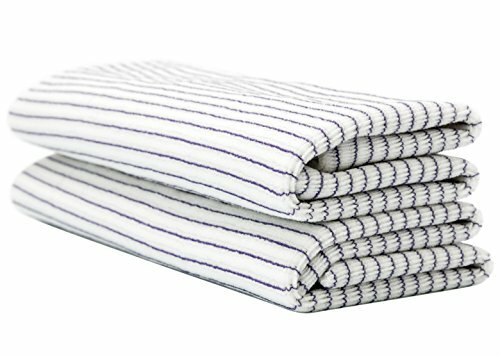 If you’re looking to get more bang for your proverbial buck, reusable sheets may be what you’re looking for. These dryer sheets are cut similar to that of traditional dryer sheets and have fewer or no chemicals/fragrances. So not only do you save on upfront cost but also long-term costs, making them an ideal choice for the cost-conscious consumer. In addition to being free of harmful chemicals, many of the dryer sheet alternatives that we will be detailing are also far less expensive when compared to their traditional counterparts. Dryer balls, for example, are renowned for speeding up drying time because of their spherical shape. And much like traditional dryer sheets, these rubbery orbs also reduce static electricity and softens your clothes. For the frugal consumer, homemade dryer sheets could be considered a godsend, depending on their aptitude for DIY projects. So how do you make them, you ask? Well, you’ll want to start by cutting a piece of fabric into squares, about the same size as traditional dryer sheets. Next, soak the fabric in fabric softener and then dry them; once they’re completely dry, you can put them in the dryer the next time you need to dry a load of clothes. It’s important to note, however, that fabric softener contains many of the same chemicals found in traditional dryer sheets. That said, this option is only viable if saving money is your primary objective. White vinegar is another great way to reduce static electricity and get soft, clean clothes. However, this option is more a replacement for fabric softener more than it is a replacement for dryer sheets. Basically, you will want to substitute fabric softener with white distilled vinegar, adding a cap full or two during your machine’s rinse cycle. Although doing this may seem unusual, white vinegar possesses natural anti-static properties and can soften clothes just as good as any traditional fabric softener. Having outlined some of the dangers associated with traditional dryer sheets and providing some viable alternatives, let’s now take a closer look at the cost-savings that come with those alternatives. Although the average cost of dryer sheets equates to just pennies per sheet, the cost can quickly add up over the course of a year, assuming you do a load of laundry one or two times per week. In fact, according to iriworldwide.com, a market research company, the dryer sheet market has a valuation of over $400 million; that said, let’s take moment to analyze this data. Multinational consumer goods company, Procter & Gamble is the biggest player in the dryer sheet market, owning 3.74% of the market due to their highly successful “Bounce” dryer sheets. Of course, Procter & Gamble is not the only player in the dryer sheet market; Snuggle fabric softener is another brand that is doing very well, averaging between $4 million and $6 million annually. Assuming you have a washer and dryer in your home, $420 in utilities to heat the water and to run the dryer. Obviously, all of these costs can take a toll on a family’s budget, but fortunately, there are ways to reduce these expenses, especially when it comes to dryer sheets. As previously stated, you could forgo the dryer altogether and allow your clothes to air dry, but that comes at a cost. If you allow your clothes to dry on a clothesline, for example, you end up with clothes that a rigid to the touch, not to mention the fact that they are exposed to elements like rain and dirt. Similar to air drying your clothes, reusable dryer sheets can be an attractive alternative to traditional dryer sheets, but they, too, come at a cost. In fact, several Amazon customers have posted reviews detailing their experience with certain reusable dryer sheets, stating they were not as effective and often left their clothes full of static. If you were considering dryer balls, they are a great alternative as they help to disperse heat evenly in the dryer, but are they worth it? Well, according to an article in popularmechanics.com, most consumers did not notice an appreciable difference in the softness of their clothes nor did they notice a reduction in static as a result of using them. However, many complained about the loud noise emanating from their dryers as the rubber orbs moved around their machines. Next on the list is homemade dryer sheets, this option is certainly cost-effective; however, in order for them to work effectively, they must be soaked in fabric softener, which has the same harmful chemicals found in traditional dryer sheets. Although distilled vinegar is one of the popular dryer sheet alternatives, this option does present its own set of drawbacks. An article in cnet.com found that the chemical makeup of vinegar can damage your dryer, namely the rubber gaskets. So although you may be saving on dryer sheet cost, you may be damaging your dryer in the process. What should you, as a consumer, purchase if you’re concerned about harmful chemicals or want to save money on your overall laundry costs? Well, you definitely have several options, but choosing the best option for you and your family is a matter of weighing the pros and the cons of each. That said, forgoing the dryer altogether could be the best option, especially since the drawbacks are minimal. Of course, the other dryer sheet alternatives are great, but they can each potentially damage your dryer. As far as homemade and reusable alternatives to dryer sheets, they can both clog the lint screen in your dryer, posing a problem that is two-fold. If lint clogs the lint screen, your dryer will have to work harder to dry your clothes, and the harder it has the work, the higher your energy bill will be.